Rate this Article The need to stay relevant in an increasingly competitive market is something online casinos are often worrying about. Luckily, with our extensive experience in the genre, we might just be able to help! The market for online casinos has been on a rise and this strong trend is not going to level off any time soon. However, in order to stay relevant in this increasingly competitive market, online casinos need to be quick in spotting popular trends and adapt accordingly. Only by being a trendsetter or anywhere close will they be able to stay afloat. Luckily, with our extensive experience in the genre, we believe we might be able to help. One of the major trends in online casino gaming that we’ve noticed is the strengthening popularity of the mobile platform. The shift to mobile is a great move mainly because it caters to the new generation of online casino players – the millennials. Thus, plenty of online casino sites are now crossing platforms just so they could deliver their brand of entertainment to players who are on the go. Hence, if you love to play slots at 7Sultans online casino for example, you could simply download the game on your mobile and play it whenever and wherever you like! However, this is not applicable to Android devices because Google doesn’t allow real money gambling apps on its platform. In my interview with Gamblit Gaming’s CMO, Darion Lowenstein, he has also shed some light on a new trend his company is setting, that is converting successful online casino games into land-based machines, and cleverly integrating the rewards and entertainment of real money gambling into video games to appeal to the younger generations of casino players, such as their popular word game, Lucky Words. Of course, if we look to the future, we’ll be able to see another emerging trend that will likely persist into the couple of years to come – bringing online casino games to the virtual reality (VR) platform. The concept of VR has been pretty well-received since its rise to popularity and its future is looking bright. This explains the leap some online casino companies have made just so they could be among the first to bring their casino games to VR players. Some examples include Casino VR Poker and Slot Tub Party which are available on Oculus, and Slots Millions, an online casino site that has built an entire virtual casino in VR, allowing their players to feel like they are at an actual Vegas casino. With time, it is likely we’ll see more online casino games making the jump to VR. Another trend we’ve noticed is the increase in female online casino gamers over the past few years. This also means that online casino sites that offer plenty of themes, especially themes that women are more attracted to, will gain a boost in its player base due to an influx of female players. 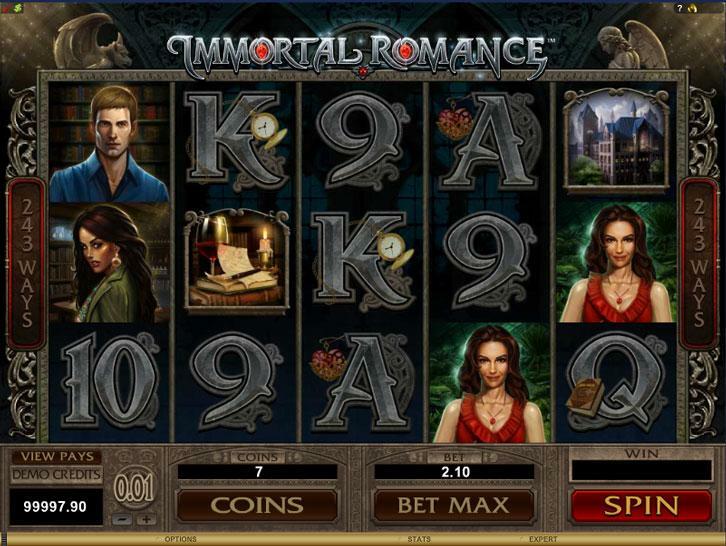 For instance, due to the obsession most female gamers have over candy-themed games like Candy Crush Saga or movies like Twilight, slot games that offer these themes, such as So Much Candy and Immortal Romance on 7Sultans online casino, work extremely well. Not to mention, due to the massive growth of eCommerce, including the emergence of new online payment systems like Payoneer, and the rise of popularity for mobile wallets, it is crucial for online casinos to keep expanding the types of payment and withdrawal services they provide. In fact, some sites have even started accepting more well-known cryptocurrencies like Bitcoin as a legitimate method for buying-in. That said, cryptocurrencies are currently more widely used among IT-savvy players, but in the foreseeable future where VR is the norm, these currencies may one day drastically change how consumers spend their money and how businesses sell their services or products... just like how online payment systems revolutionized the concept of “money” in this modern era. To sum up, we hope that our insights into the various trends in the online casino scene are helpful to both online casinos that are interested in updating their sites, and also their players who are simply curious to see what they can expect from their favorite online casino sites in the future.